Being a highly effective, lean and fast-moving firm, we are committed towards manufacturing an exceptional quality Bauxite Powder. Natwar Ceramics & Chemicals Pvt. Ltd. 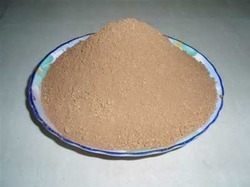 Raw Bauxite Powder with 200 mash and many more rest will be disclosed with the customer. Calcined bauxite is used as raw material for manufacturing aluminum metals, fused alumina and high alumina refractory’s. We can supply the low fe2o3 contains less then 3%, alumina contains 80-85%. Powder size up to -300mesh suitable for abrasive, refractory’s , wielding electrodes, foundries industries etc. Use of Bauxite as an Abrasive. Calcined alumina is a synthetic corundum, which is a very hard material (9 on the Mohs Hardness Scale). ... Aluminum oxide sandpaper, polishing powders, and polishing suspensions are made from calcined alumina. Sintered bauxite is often used as a sand-blasting abrasive. 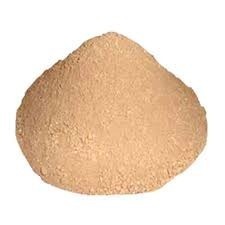 Keeping the variegated requirements of our customers in mind, we are engaged in offering Bauxite Powder.